You must have heard of Ultratech Cement. It is the biggest cement company in the country. But did you know that it does social work and development across 407 villages in the rural sector? It focuses on education, healthcare and infrastructure in these villages. 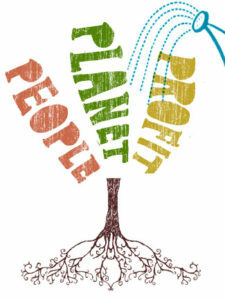 Just like them, various businesses in India carry out various types of social responsibility. Let us take a look. A business enterprise is an important part of the society and it should do its operations and earn money in ways that satisfy the expectations of the society. Social responsibility of a business refers to the obligations to take those decisions and perform those actions which are desirable in terms of the objectives and values of society. It is the idea that businesses should balance profit-making activities with activities that benefit society; it involves developing businesses with a positive relationship with the society in which they operate. What is a business? The business itself is an economic activity. Its main function is to earn profits. To earn profits means to understand the needs and demands of consumers whether it be regarding the quality of the product or its price. While understanding the perspective of the consumer and meeting their needs and demand to earn a profit is the economic responsibility of a business. When a business earns a profit, it also means that the employees earn the profit in terms of incentives. The economic growth of a business is not restricted to itself but affects the society as a whole. Legal responsibilities are not only liable to the individuals in the society but also to the businesses in the society. As business is an entity itself, it must also follow laws and rules. Every business has a responsibility to operate within the boundaries set by the various commissions and agencies at every level of the government. These rules and regulations are set for maintaining balance and the greater good of the society. A law-abiding enterprise is a socially responsible enterprise as well. The business is free to do business however it wants but only within the boundaries of regulations of various laws such as labour law, environmental law and criminal law. For example, it’s a business’s duty to pay taxes to the government and keep its account books clean as it helps the government to track the economic state of the company. Ethical responsibilities include the behaviour of the firm that is expected by the society but not codified in law. The factors of ethical responsibility include that the business must be environmentally friendly. The business should always be aware of its activities and how do they affect the environment. It is the moral and ethical responsibility of every human and every business. Business is one the most important pillar of the society. And therefore it should support and improve the society whenever it can. If a business is making significant profits it is the business responsibility that it should be philanthropic towards the society by donating funds or its goods and services. It’s the philanthropic responsibility of the business to help different groups of the society. It should also work towards providing free education by opening educational institutes and training institutes or helping the people affected by natural calamities such as floods and earthquakes. It is the responsibility of the company management to safeguard the capital investment by avoiding speculative activity and undertaking only healthy business ventures which give good returns on investment. Question: What is the ethical responsibility of the business? Answer: Ethical responsibilities include the behaviour of the firm that is expected by the society but not codified in law.